The Denis Wick Synthetic Straight Mute is a low cost mute with a high quality sound. 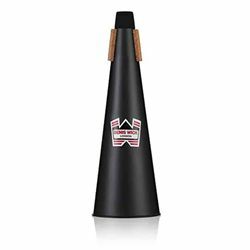 This mute uses a hard, durable plastic to create an excellent tone quality with perfect intonation unmatched by any other straight mute at this price. Excellent for any school band or any group wanting to have a good set of matching mutes.